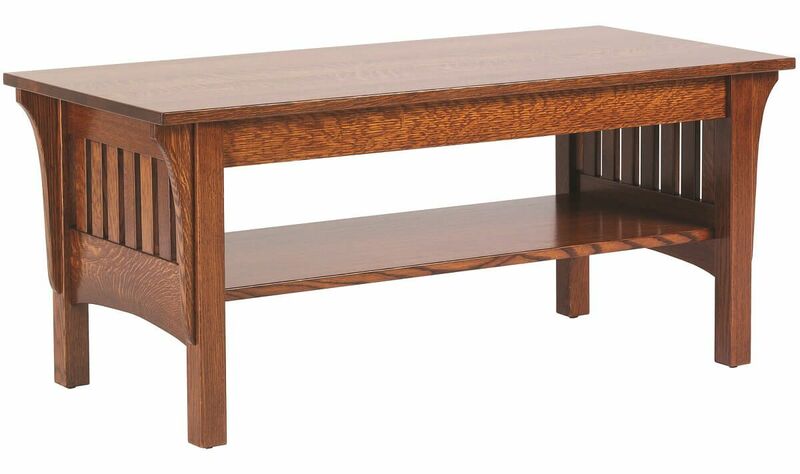 5% Off $2000 | 8% Off $5000 | 10% Off $8000 $150 Shipping & Set Up | All Indoor Furniture Orders | Entire Contiguous U.S.
Amish handcrafted from sustainably harvested American hardwood, your Sandy Creek Mission Coffee Table will be enjoyed from generation to generation. Our Sandy Creek Coffee Table is built to last. The pictured Burnished Honey stain over Quartersawn White Oak beautifully accents the Mission inspired corbels and vertical slats. Enjoy 46" wide of solid wood top as well as an open base shelf. 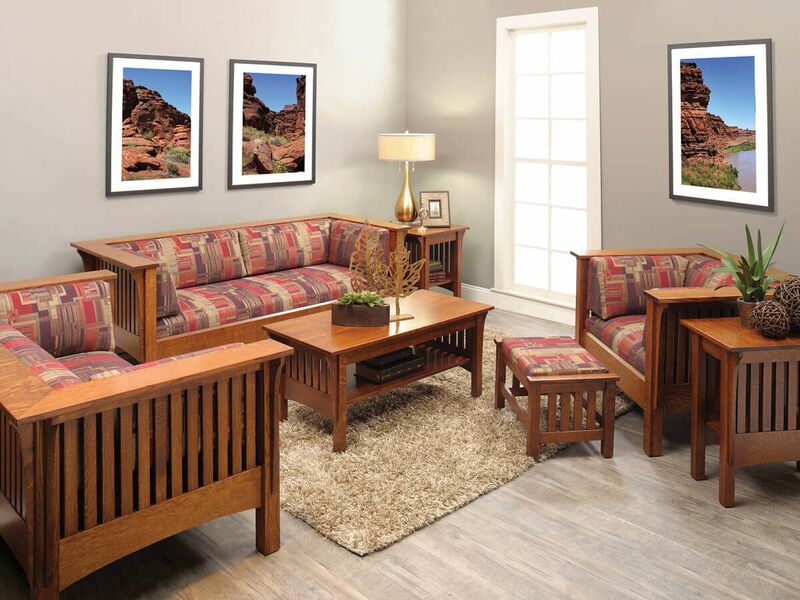 Part of our Sandy Creek Living Room Collection, consider using your coffee table in conjunction with the set's side tables and seating options. Due to the use of real hardwood, each Sandy Creek Coffee Table will display its own unique characteristics. Select from Oak, Brown Maple, Rustic Cherry, Cherry, Quartersawn White Oak, Maple, Hickory, or Walnut and your table will me made to order. 10-14 weeks from order to delivery. Unsure? An option to have 4 samples mailed is available at checkout. © 2019 Countryside Amish Furniture. All rights reserved. While we make every effort to provide accurate information, typographical errors in product descriptions, availability or pricing may occur. 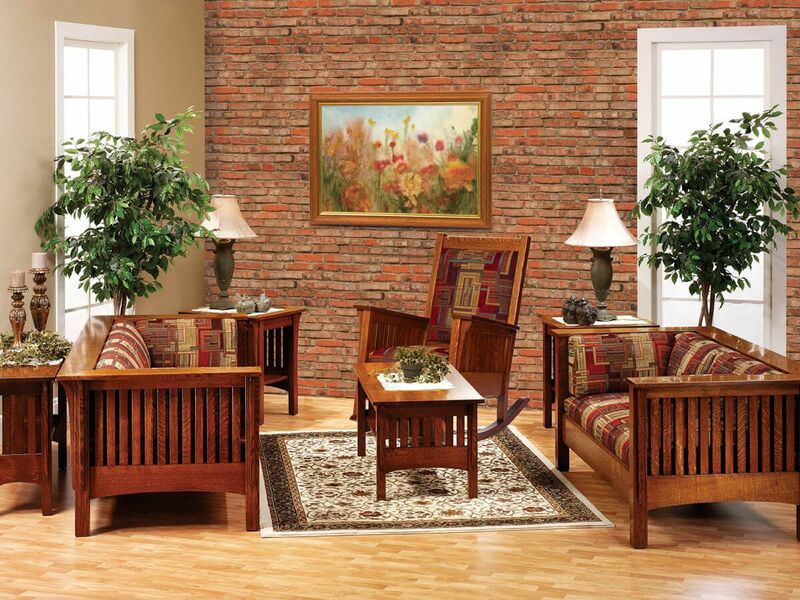 In this event, Countryside Amish Furniture reserves the right to correct any issues and contact you prior to processing your order.